Tueller & Associates, P.C. will represent your Business legal matters. Tueller & Associates, P.C. will represent your Commercial Real Estate legal matters. Tueller & Associates, P.C. will represent your Foreclosure legal matters. Tueller & Associates, P.C. will represent your Landlord and Tenant legal matters. Tueller & Associates, P.C. will represent your Real Estate legal matters. Phi Beta Kappa; Phi Kappa Phi. Rotary Foundation Ambassadorial Graduate Fellow to Hamburg, Germany, 1980-81. PROFFESSIONAL/BUSINESS: L.B.J. Congressional Intern, Washington, D.C. (1975), visiting scholar, Max-Planck Institute for International and Comparative Law; Holme Roberts & Owen, Denver, Colorado; EVP, McKellar Development Group, Las Vegas, Nevada; Graham & James, Los Angeles, California. COO, Carstens Development Group, Telluride, Colorado; Founder, Real Asset Management, Inc. PUBLIC OFFICES/SERVICE: Town of Mountain Village Home Charter Drafting Committee and Election Commission, 1994-1995; Town of Mountain Village Councilman, 1995-1997; Rotary Foundation District Scholarship Committee, Chairman since 2002 (Member since 1996); Telluride Rotary Scholarship Committee, Chairman since 2001 (Member since 1995); Telluride Elks Club Scholarship and numerous Telluride R-1 School District Committees; Founder, Person-to-Person-to-Poland, Nevada Zoological Society, Pinhead Institute, Just For Kids Foundation and Mountains to Deserts nonprofits. AUTHOR: "Reporting and Disclosure Requirements for Foreign Investors in U.S. Real Estate," published in Foreign Direct Investment in the U.S., Sweet & Maxwell, 1993; Stanford Journal of International Law 1983; "Reaching and Applying Foreign Law in West Germany: A Systemic Study", Stanford Journal of International Law (Vol. 19, Spring 1983) (used as materials in a course on the West German Legal System at the University of Chicago Law School); "Problems of Arbitration of International Contract Disputes and Recognition and Enforcement of Foreign Judgments in the Federal Republic of Germany: A Recenty Decision of the Bundesgerichtshof", Stanford Journal of International Law (Vol. 17, Spring 1981); Wolfgang Hoffman-Riem, "The Freedom of Communications and the Future of Broadcasting in West Germany", translated into English from German for publicaiton in Studies in Broadcasting (Nov. 17, 1981), Nippon Hoso Kyokai, Japan; and Manfred Rehbinder, Rechtssoziologie (de Gruyter, 1978), translated into English for publication in the U.S., 1981-1982. PROFESSIONAL/BUSINESS: L.B.J. Congressional Intern, Washington, D.C. (1975), visiting scholar, Max-Planck Institute for International and Comparative Law; Holme Roberts & Owen, Denver, Colorado; EVP, McKellar Development Group, Las Vegas, Nevada; Graham & James, Los Angeles, California. COO, Carstens Development Group, Telluride, Colorado; Founder, Real Asset Management, Inc.
PUBLIC OFFICES/SERVICE: Town of Mountain Village Home Charter Drafting Committee and Election Commission, 1994-1995; Town of Mountain Village Councilman, 1995-1997; Rotary Foundation District Scholarship Committee, Chairman since 2002 (Member since 1996); Telluride Rotary Scholarship Committee, Chairman since 2001 (Member since 1995); Telluride Elks Club Scholarship and numerous Telluride R-1 School District Committees; Founder, Person-to-Person-to-Poland, Nevada Zoological Society, Pinhead Institute, Just For Kids Foundation and Mountains to Deserts nonprofits. Historical and Cultural Travels; Mountain and Desert activities; Science Fiction, Fantasy and Historical Literature; Penchant for fine and interesting Cuisine and liquors. 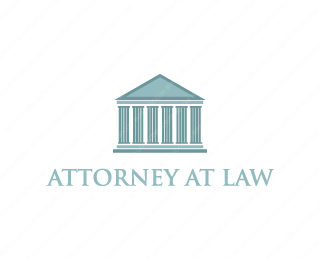 Mr. Smith is an associate attorney with Tueller and Associates. His practice experience includes real estate transactions, land use, water, environmental and corporate matters. Prior to joining the firm, Nate worked as an associate with Burns, Figa, and Will, P.C. where he practiced in the firm's water law group. Upon graduating from law school, Nate also worked with the Town of Telluride Town Attorney's office, as well as several local Telluride law firms and served on the Town of Telluride Ethics and Planning and Zoning Commissions, as well as serving on the Board of Directors of the Telluride Mountain Club and Snake River Waterkeeper. While in law school, Nate served as a law clerk at Moses, Wittemyer, Harrison, and Woodruff, P.C. focusing on water and special district law and also served as a Head Notes Editor for the Vermont Journal of Environmental Law. Nate's wife, Ashley, works as a nonprofit grant writer for local and regional organizations, including The Telluride Academy.